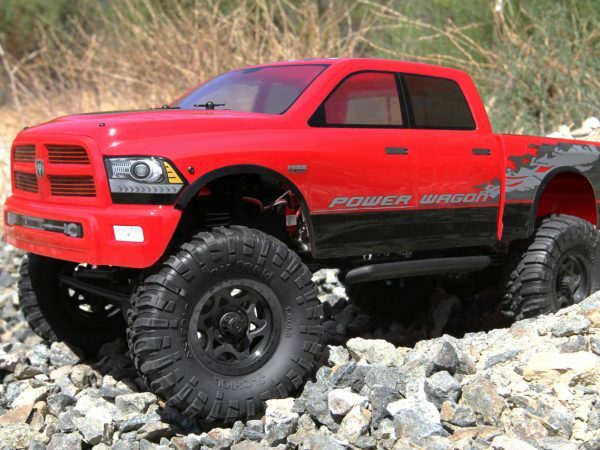 Most people often use the term RC cars as a way to refer both to RC cars and RC trucks. However, these two are nothing alike. Their most obvious difference is their design. RC cars are designed to be driven on a road and that is why they are built to be positioned close to the ground as that way they can reach high speeds and remain stable on flat and smooth surfaces such as pavements. RC trucks, on the other hand, are designed to be driven off road and have a lot of clearance in order to be able to overcome obstacles. In order to get a better understanding what stands behind this division, we’d have to go through some of the more crucial components of both types of vehicles. RC cars usually have a suspension that has very little travel. The wheels don’t move up and down that much as RC cars are designed to be used on smooth surfaces and are not made to handle large bumps or obstacles. In addition, RC cars have a stiff suspension springs that limit wheel travel. In contrast, RC trucks typically have very large suspension travel, larger shocks, and have shock springs that are very soft and allow for better shock absorption when going off road. he other hand, Rc remote control trucks are on the opposite side, they have big wheels with a deep tread allowing them to climb over obstacles. The deeper tread allows them to get out of dirt, mud and other conditions that require more aggressive and deep treads. 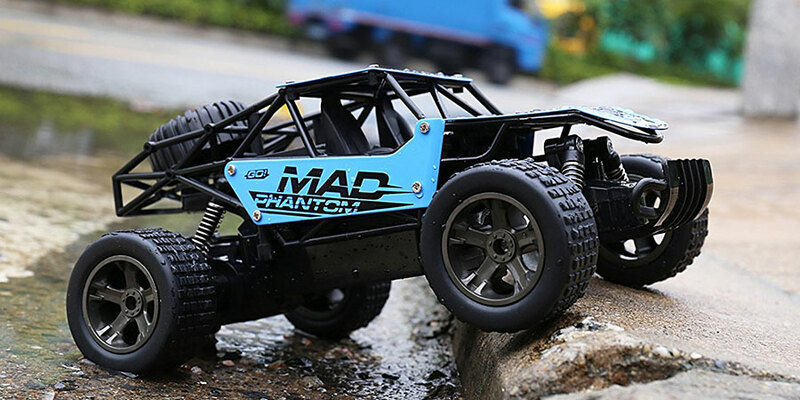 Here again, we can see differences between these two types of RC vehicles. RC cars are usually geared for higher speeds, whereas RC trucks are the opposite in order to be able to climb steep hills. Rc remote control trucks are designed to have a low end acceleration and this allows them to climb up steep hills but they also lose speed in the beginning when accelerating. RC cars, on the other hand, have very quick acceleration but lack the power to climb over hills, or at least take a long time to get over them. RC cars come equipped with a belt drive system that transfers the power coming from the engine to the wheels. RC trucks usually have a shaft drive system for that purpose. The reason for this is because a belt drive doesn’t do well on steep hills or off-road in general. However, there are exceptions to the rule and you can get a belt drive, but you will have to enclose and protect your drive system from debris. In addition, there are RC cars with shaft drive system, but in most cases RC cars have a belt drive and trucks have a shaft drive.